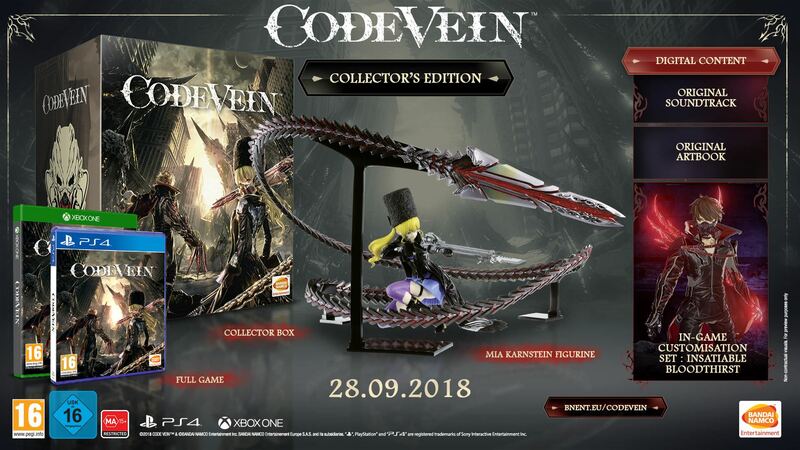 Recently, Bandai Namco unveiled that JP would be getting Code Vein on September 27th for Xbox One and PS4, with the Steam version coming the day after. It was assumed that the Steam release would correspond with the Western release and today the publisher confirmed this. Code Vein is coming this September 28th for Xbox One, PS4, and PC. 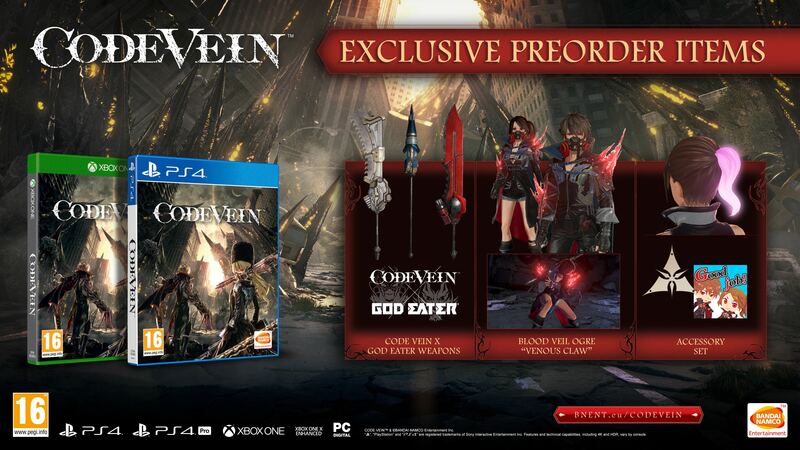 In addition, pre-order bonuses were provided that includes a God Eater crossover weapon, the Venomous Claw, and Accessory set. A special edition was revealed but currently not available in US territories but it may follow later. It includes the game, a 17' Mia Karnstein figure, in-game Insatiable Bloodthrust set, artbook, soundtrack, and collector's box. Code Vein launches on September 28th for Xbox One, PS4, and PC. Code Vein Delayed to 2019 to "Exceed Expectations"